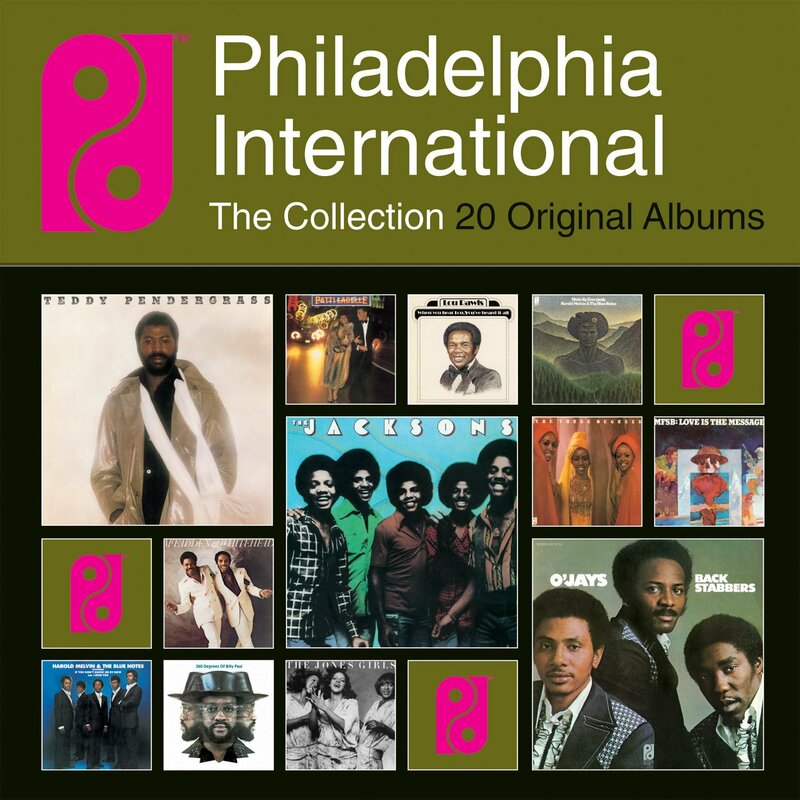 PHILADELPHIA INTERNATIONAL-THE COLLECTION 20 ORIGINAL ALBUMS. On February 13th 2014, Sony Music announced that it had acquired the worldwide rights to Philadelphia International Records’ post 1975 back-catalogue. At last, one label, Sony Music now had control of the rights to the entire Philadelphia International Records’ back-catalogue. This was progress. Maybe now, a proper reissue program of Philadelphia International Records’ back-catalogue could get underway. This would be an improvement from what has gone before. Previously, Philadelphia International Records’ back-catalogue fell into the wrong hands. It seemed that anyone with money, could license Philadelphia International Records’ back-catalogue. There seemed to be no checks into the background of the labels. What followed wasn’t pretty. Cheap and nastily reissues of the back-catalogue made their way onto the shelves of record shops. Sometimes, the Philadelphia International Records’ back-catalogue was reduced to budget label product. Twofers were released. Often, three albums were squeezed onto two discs. This meant there were no sleeve-notes and the bare minimum of details about the albums. A low point was reached when what came across what I can only describe as reissue that was a needle drop. It was obvious rather than the master tapes being sourced, a vinyl copy was used. Not a very good copy at that. What had been one of the most influential soul labels between 1972 and 1975, was reduced to this. How the mighty had fallen. Then came the news back in February 2014. This were looking better for Philadelphia International Records’ post 1975 bak-catalogue. At the time, I thought that maybe, at last, a comprehensive reissue of Philadelphia International Records’ back-catalogue would get underway. Like many people, I hoped for lavish and lovingly compiled box sets, remasters of classic albums and rereleases of some of albums that have never before released on CD before. Sony Music it seemed were thinking along the same lines. Immediately, Sony Music announced they would be releasing a box set featuring twenty albums. They also announced a series of greatest hits. This was just the tip of the iceberg. What was about to follow was the most comprehensive reissue of Philadelphia International Records’ back-catalogue. The release that interested most people, was what would become Philadelphia International-The Collection 20 Original Albums. Tantalisingly, there was no mention of what albums would feature in Philadelphia International-The Collection 20 Original Albums. Speculation was rife. Everyone had their wish-list of classics and hard to find albums. Ideally, Philadelphia International-The Collection 20 Original Albums would be a mixture of the familiar and hidden gems. When word got out about the contents of Philadelphia International-The Collection 20 Original Albums, that wasn’t what we were getting. What I, and many people didn’t want, was a box set that was predictable. To some extent, that’s what we got. Obviously, Philadelphia International-The Collection 20 Original Albums had to feature artists who played an important part in the label’s history. Between 1972 and 1975, the artists included in Philadelphia International-The Collection 20 Original Albums are Harold Melvin and The Blue Notes, The O’Jays, Billy Paul, The Three Degrees and M.F.S.B. 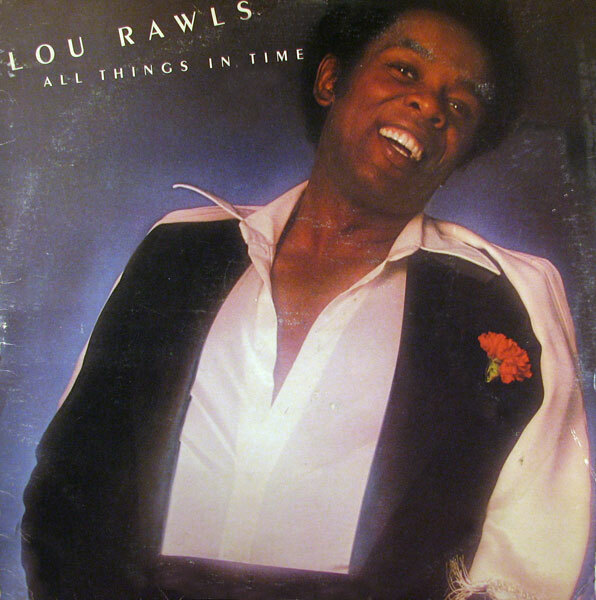 Post-1975 successful and landmark albums were included by Lou Rawls, The Jacksons and Teddy Pendergrass. What frustrated some people, was that there were two albums from Harold Melvin and The Blue Notes, The O’Jays and Teddy Pendergrass. This meant there was less opportunity for hidden gems and rarities. The rest of the artists that feature in Philadelphia International-The Collection 20 Original Albums didn’t enjoy the same commercial success and critical acclaim as Harold Melvin and The Blue Notes and The O’Jays enjoyed. However, there were welcome additions included The Intruders, the innovative Dexter Wansel and the underrated McFadden and Whitehead. Surprising choices were Edwin Birdsong, Bunny Sigler, Jean Carn, The Jones Girls and Patti LaBelle. They divided opinion among the Philadelphia International faithful. Personally, I wouldn’t have included any of these albums. Edwin Birdsong, Bunny Sigler, Jean Carn and Patti LaBelle only had walk-on parts in the Philadelphia International story and I could’ve lived without these albums. You’ll realise that, when I tell you about story of the Philadelphia International-The Collection 20 Original Albums. It’s a story that begins in 1971. This was just a year after Gamble and Huff had founded Philadelphia International Records. The new label’s first release was Billy Paul’s Going East. It reached number 197 in the US Billboard 200 and number forty-two in the US R&B charts. This wasn’t bad for a new artist on a newly founded label. However, a year later, Philadelphia International Records’ were transformed. August 1972 saw the release of two landmark albums on Philadelphia International Records. Harold Melvin and The Blue Notes released their eponymous album. It was originally entitled I Miss You. However, after the success of If You Don’t Know Me By Now, the second single released from the album, Philadelphia International Records decided to repackage the album, giving it a new cover and title, Harold Melvin and The Blue Notes. The now entitled Harold Melvin and The Blue Notes, reached number fifty-three in the US Billboard 200 and four in the US R&B Charts. This wasn’t the only album Philadelphia International Records released in August to become a huge success. 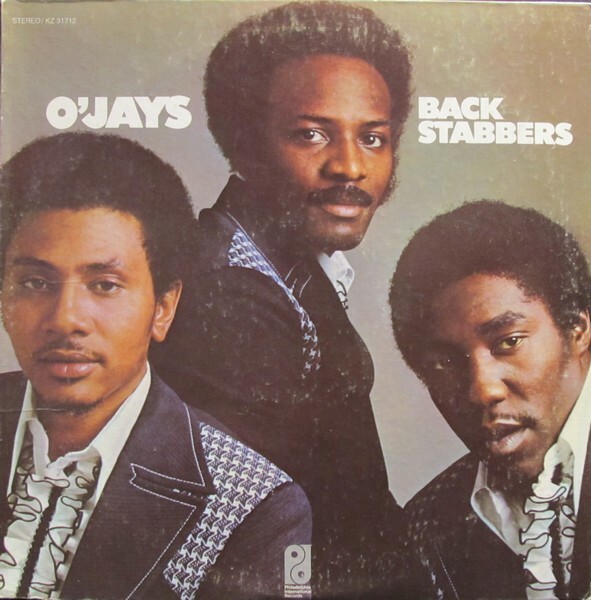 The O’Jays released Back Stabbers in August 1972. Their success began when they release Back Stabbers as a single Not only did it reach number three in the US Billboard 100 and number three in the US R&B but was certified gold. So was the anthemic Love Train, which gave The O’Jays a dual number one single. Even better, The O’Jays debut album Back Stabbers reached number ten in the US Billboard 200 and number three in the US R&B Charts. Within less than a year, the album was certified gold. For The O’Jays and Gamble and Huff, it seemed they could do no wrong. Billy Paul, the man who released Philadelphia International Records’ debut album released 360 Degrees Of Billy Paul in November 1972. Before 360 Degrees of Billy Paul was released, a single was chosen from the album. One track stood out, Me and Mrs Jones. It was released in October 1972, and made its way up the charts. Ironically, before it hit number one in the US Billboard 100, the single blocking its way was The O’Jays’ Backstabbers, another Philadelphia International Records’ single. Soon, Billy Paul had a a dual number one single, in both the US Billboard 100 and US R&B Charts. Suddenly, Me and Mrs Jones was a worldwide hit and everyone knew who Billy Paul was. Spurred on by the success of Me and Mrs Jones, 360 Degrees of Billy Paul was released in November 1972, reaching reached number one in the US R&B Charts and number seventeen in the US Billboard 200. Sadly, Billy Paul never scaled these heights again. Philadelphia International Records did. Matching the success of 1972 wasn’t going to be easy for Gamble and Huff. One of their first releases of 1973 was The Intruders Save The Children. They’d played a big part in Gamble and Huff’s past. When Gamble and Huff were considered leaving the Cameo Parkway label to form their own label, it was the Intruders that Gamble and Huff chose to risk their money and futures on. In 1966, the Intruders released two singles, (We’ll Be) United and Devil WIth An Angel’s Smile. They gave The Intruders two minor hit singles. This was the Intruders’ first hit singles since forming in 1961 and started them on a musical journey with Gamble and Huff. Seven years later, Save The Children reached number 133 in the US Billboard 200 and number twelve in the US R&B Charts. The Intruders were making steady, but not spectacular process. That wasn’t the case with The Three Degrees. Under the guidance of Gamble and Huff, their fortunes were transformed. They released what was their third album, but first for Philadelphia International Records in 1973. On its release, it reached number twenty-eight in the US Billboard 200 and thirty-three in the US R&B Charts. In the UK the album fared even better, reaching number twelve. Four singles were released from the album, with the Gamble and Huff penned When Will I See You Again being the most successful, reaching number two in the US Billboard 100 and number four in the US R&B Charts. Back then, The Three Degrees were on a roll. So were The O’Jays. Following the success of Back Stabbers, The O’Jays headed back into the studio. What followed was one of the most powerful albums of their career. Full of social comment and slick hooks, Ship Ahoy was released in October 1973. It surpassed the success of Back Stabbers, reaching number eleven in the US Billboard 200 and number one in the US R&B Charts, resulting in The O’Jays first platinum disc. Put Your Hands Together was the lead single, released in November 1973. It reached number ten in the US Billboard 100 and number two in the US R&B Charts. For The Love Of Money was released in March 1974, reaching number nine in the US Billboard 100 and number three in the US R&B Charts. The O’Jays were now, without doubt, Philadelphia International’s most successful bands. Providing the backdrop to their success was M.F.S.B, Philadelphia International Records’ legendary house band. M.F.S.B. were more than a house band. They were arrangers, producers and songwriters. Without the original lineup of M.F.S.B, Philadelphia International Records wouldn’t have enjoyed the same success. 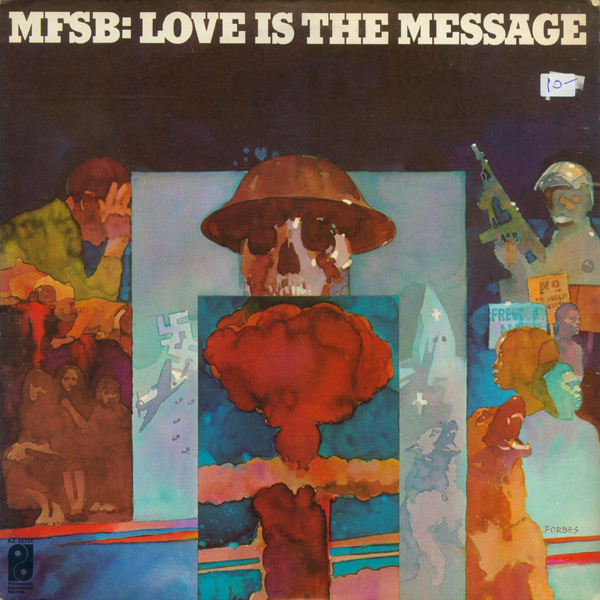 In December 1973, they released their sophomore album Love Is The Message was the most successful album of their career, reaching number four in the US Billboard 200 and number one in the US R&B charts. This was helped by the success of the single T.S.O.P. (The Sound Of Philadelphia). Featuring The Three Degrees’ vocals, it gave M.F.S.B. a dual number one. This was the perfect showcase for the multitalented M.F.S.B. They would also accompany Bunny Sigler Philadelphia International Records’ nearly man. Bunny Sigler enjoyed more success as a songwriter than singer. Deep down, he felt unfulfilled writing songs. So, he convinced Gamble and Huff to sign him as an artist. Keep Smilin’ was his third album, but only his second for Philadelphia International. Released in 1973, it failed to chart. The two singles Keep Smilin’ and a cover of Love Train gave Bunny minor hits in the US R&B charts. Despite the failure of Keep Smilin’ it’s regarded as one of Bunny’s best albums. The same can be said of Harold Melvin and The Blue Notes’ Wake Up Everybody. 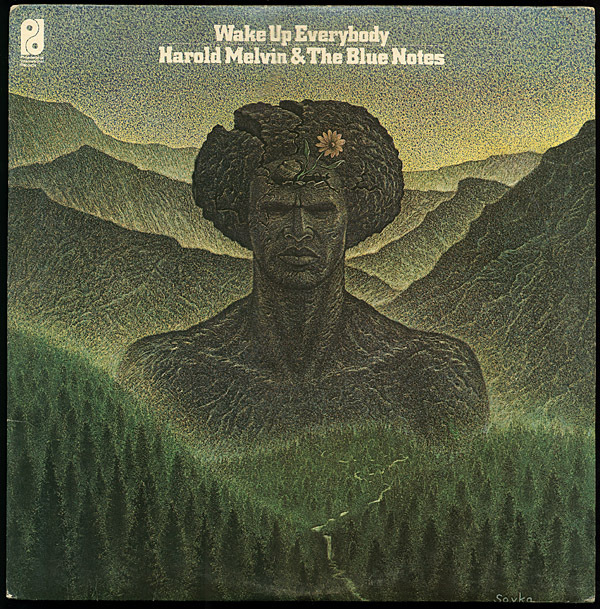 Released in November 1975, Wake Up Everybody was landmark album for Harold Melvin and The Blue Notes. It was the last to feature Teddy Pendergrass on lead vocal. This was their fourth and final album for Philadelphia International, and provided the group with their most successful ever album. On its release, it reached number nine in the US Billboard 100, and gave the group their second number one R&B album. The title-track was a released as a single, reaching number twelve in the US Billboard 100 and number one in the US R&B chars. After Wake Up Everybody, Harold Melvin and The Blue Notes’ left Philadelphia International Records’ and Teddy Pendergrass signed a recording contract as a solo artist. He released his solo debut in 1977. Before that, times were changing at Philadelphia International Records. As 1975 drew to a close, Gamble and Huff were locked in a dispute with Philadelphia International Records’ legendary house band M.F.S.B. over money. When this dispute couldn’t be resolved, members of M.F.S.B. remembering the proverb “the workman is worthy of his hire” quit Philadelphia International Records and headed to New York where they became The Salsoul Orchestra. They transformed Salsoul into the greatest label in disco’s history. These musicians had played on all of Philadelphia International Records’ successful albums. This was a huge loss. Gamble and Huff lost more than they realised. M.F.S.B. were more than a house band. They were arrangers, producers and songwriters. Without the original lineup of M.F.S.B, Philadelphia International Records wouldn’t have enjoyed the same success. Good as the musicians that featured on M.F.S.B. Mk II were, they weren’t as good as Vince Montana Jr, Baker, Harris Young, Larry Washington and Bobby “Electronic” Eli. Philadelphia International Records still enjoyed commercial success, but was never the same label. It missed out on the disco boom, which the original lineup of M.F.S.B. were enjoying commercial success and critical acclaim with. However, Gamble and Huff enjoyed commercial success with Lou Rawls. Gamble and Huff had worked with Lou Rawls before. Since then, his career had stalled. Lou’s career needed rejuvenated. So, everyone at Philadelphia International Records got to work. During parts of 1975 and 1976, Lou Rawls spent time in the famous Sigma Sound Studios in Philadelphia, recording All Things In Time. It was time well spent. When All Things In Time was released in June 1976, the album was a huge success, reaching number seven in the US Billboard 200 and number one in the US R&B Charts. The album was certified gold. That wasn’t the end of the success. You’ll Never Find Another Love Like Mine was released as a single, reaching number two in the US Billboard 100, and number one in the US R&B Charts and US Dance Charts. This was the biggest single of Lou’s career. Since then, it’s become a classic track. So has The Jacksons’ Enjoy Yourself. It featured on The Jacksons’ 1976 eponymous album. The Jacksons was their first album to be released on their new label CBS. This was a joint venture between Epic and Philadelphia International Records. The joint venture meant that The Jacksons would be produced by Gamble and Huff. After four months recording between June and October 1976, The Jacksons was released in November 1976. Before the release of The Jacksons, Enjoy Yourself was the first single released from the album at the end of October 1976. It reached number six in the US Billboard 100 and number two in the US R&B Charts, Then The Jacksons was released in November 1976, reaching number thirty-six in the US Billboard 200 and number six in the US R&B Charts. It was the first gold disc of The Jacksons’ career, despite having previously sold over ten-million albums whilst signed to Motown. For Gamble and Huff, along with everyone at Philadelphia International, including Dexter Wansell, this was a triumph. Especially Dexter Wansell. After all the changes at Philadelphia International, he was playing a bigger role. He was writing, arranging and producing. Then there was his solo career. He’d released his debut album Life On Mars in 1976. It was an innovative album, which utilised synths fully. A quite different album from what Philadelphia International usually released, it still reached number forty-four in the US R&B charts. The title-track with its futuristic, dance-floor friendly sound gave Dexter a minor hit. Just like the rest of the album, it was ahead of its time. That wasn’t the case with Teddy Pendergrass. Teddy released his eponymous solo album in June 1977. It was produced by Gamble and Huff and Gene Mc Fadden and John Whitehead. Bobby Martin and Jack Faith arranged Teddy Pendergrass. On it’s release, it reached number seventeen in the US Billboard 200 and number five in the US R&B Charts. This resulted in a platinum disc for Teddy. Two singles were released from Teddy Pendergrass. They were the vampish I Don’t Love You Anymore and the classic The Whole Town’s Laughing At Me. Both gave Teddy hit singles and vindicated his decision to embark upon what was a hugely successful solo career. The same couldn’t be said of Jean Carn. If Bunny Sigler was the nearly man of Philadelphia International, Jean Carn was the nearly woman. She released a quartet of albums on Philadelphia International, but widespread commercial success eluded her. Her debut was Jean Carn. Released in 1977. Produced by Gamble and Huff, Jean Carn reached just number twenty-four in the US R&B Charts. Despite her silky smooth, soulful vocal, success always seemed to elude Jean. That wasn’t the case with Low Rawls. Having rejuvenated his career with 1976s All Things In Time, Lou’s career was enjoying something of an Indian Summer. He’d released Unmistakably Lou in 1977. Then in 1978, he enjoyed further success with When You Heard Lou You’ve Heard It All. Released in 1978, it reached number forty-one in the US Billboard 200 and number thirteen in the US R&B charts. Good as that was, it was nothing compared to the success Teddy Pendergrass was enjoying. 1978 saw Teddy Pendergrass release his sophomore album Life Is A Song Worth Singing. It saw Teddy pickup where he left on his 1977 debut album, Teddy Pendergrass. There were seven songs on Life Is A Song Worth Singing. Only You and Close the Door were released as singles. The first single released from the album was Close the Door. It was a huge hit, reaching number twenty-five in the US Billboard 100 and number one in the US R&B Charts. Similarly, when Life Is A Song Worth Singing was released in June 1978, it gave Teddy a number one US R&B album. The album also reached number eleven in the US Billboard 200. This meant Teddy received his second platinum album of his solo career. Teddy was becoming one of Philadelphia International’s biggest names. So were a new act, The Jones Girls. By the time The Valerie, Brenda and Shirley Jones signed to Philadelphia International, there career was a decade old. They’d released a string of singles to little, or no success. So they sang backing vocals for Betty Everett, Teddy Pendergrass, Lou Rawls, Aretha Franklin and Diana Ross. Then in 1979, The Jones Girls signed to Philadelphia International and released their eponymous debut album. It featured their first million selling single, You Gonna Make Me Love Somebody Else. The single reached number thirty-eight in the US Billboard 100, number five in the US R&B Charts and number twelve in the US Dance Charts. When The Jones Girls was released, it reached number fifty in the US Billboard 200 and number eight in the US R&B Charts. Still, Philadelphia International Records were enjoying commercial success. This continued with McFadden and Whitehead. Gene McFadden and John Whitehead had formed their songwriting partnership in Philly back in the seventies. They went on to become one of the most successful songwriting and production partnerships. Apart from writing and producing other artists, McFadden and Whitehead enjoyed a successful recording career. Their 1979 eponymous debut album McFadden and Whitehead featured a stonewall, seminal Philly Soul classic, Ain’t No Stopping Us Now. It reached number thirteen in the US Billboard 100 and number one in the US R&B Charts and gave McFadden and Whitehead their first gold disc. When McFadden and Whitehead was released, it reached number twenty-three in the US Billboard 200 and number five in the US R&B Charts. McFadden and Whitehead were vindicated. They were more than songwriters, they were singers. So was Edwin Birdsong. Edwin had released a trio of albums before signing to Philadelphia International. Commercial success eluded him. History was about repeat itself. He only released one album on Philadelphia International, Edwin Birdsong in 1979. It failed commercially and Edwin left Philadelphia International. Two years later, he resurfaced at Salsoul, where he released Funtazik. However, Edwin Birdsong is a disappointing album, which doesn’t belong in such illustrious company as Philadelphia International-The Collection 20 Original Albums. Things improved in 1983 when Patti LaBelle released I’m In Love Again. By 1983, Philadelphia International had seen better days. It was like an ageing starlet. The makeup couldn’t quite hide the ravages of time. More was required than a nip and tuck. Gamble and Huff’s signing and release policy seemed strange. A slew of compilations were released. Their signings were just as strange. The Stylistics were signed. They were well past their best. So were The O’Jays. Teddy Pendergrass’ career was all but over, following the car accident resulted in him being paralysed. What Gamble and Huff needed was good news. This came when Patti LaBelle released I’m In Love Again. I’m In Love Again was recorded whilst Patti LaBelle was appearing on Broadway. Despite this, I’m In Love Again was recorded at Philly’s Sigma Sound Studios. Released in November 1983, to critical acclaim, I’m In Love Again was a commercial success. It reached number forty in the US Billboard 200 and number four in the US R&B charts. This resulted in I’m In Love Again being certified gold. Despite its commercial success I’d not have included I’m In Love Again in Philadelphia International-The Collection 20 Original Albums. It’s far from one of the twenty best albums Philadelphia International released. Maybe Sony Music wanted to include an album from the early eighties? Personally, I would rather have had an album from what was Philadelphia International’s glory years, between 1972 and 1975. Trying to tell the story of Philadelphia International Records in twenty discs is impossible. Sony Music gave it a good go on Philadelphia International-The Collection 20 Original Albums. They started well, but concentrating on classic and landmark albums released between 1972 and 1975. Harold Melvin and The Blue Notes, The O’Jays, Billy Paul, The Three Degrees and M.F.S.B. all had to feature. They were responsible for transforming Philadelphia International Records into one of the most successful labels between 1972 and 1975. However, I’d have liked Philadelphia International-The Collection 20 Original Albums to feature more albums released between 1972 and 1975. Ideally, two box sets could’ve been released. The first could’ve covered 1972 to 1975. This would’ve allowed classics, hidden gems and rarities to sit side-by-side. After all, there’s plenty of albums that weren’t huge commercial successes that are full of quality music? The same can be said of Philadelphia International classics. Quite simply, twenty discs and one box set doesn’t do Philadelphia International justice. It’s just a tantalising taste. There’s still 1976 to 1983 to come. Personally, I’d have made the cut-off date 1979. After that, Philadelphia International was a shadow of its former self. That was apparent on Philadelphia International Records-The 40th Anniversary Box Set. Philadelphia International-The Collection 20 Original Albums falls into the same trap and gets lost after 1979. Ideally, a second box set could’ve been released to cover the period between 1976 and 1979. Sadly, that’s not what Song Music decided. Instead, Philadelphia International-The Collection 20 Original Albums is a case of good, but could do better. There were some surprising choices on Philadelphia International-The Collection 20 Original Albums. Among them Edwin Birdsong, Bunny Sigler, Jean Carn, The Jones Girls and Patti LaBelle. They divided opinion among the Philadelphia International faithful. Personally, I wouldn’t have included any of these albums. Edwin Birdsong, Bunny Sigler, Jean Carn and Patti LaBelle only had walk-on parts in the Philadelphia International story. Having said that, there were welcome additions on Philadelphia International-The Collection 20 Original Albums. This includes albums by The Intruders, the innovative Dexter Wansel and the underrated McFadden and Whitehead. There’s also a number of Billy Paul albums worthy of inclusion. The same goes for albums by Instant Funk, Archie Bell and The Drells, People’s Choice, Jerry Butler, The Futures and Dee Dee Sharp. As I said, Philadelphia International-The Collection 20 Original Albums is just the tip of the iceberg. There’s much, much more in Philadelphia International Records’ vaults. However, given Sony Music have only recently acquired the worldwide rights to Philadelphia International Records’ post 1975 back-catalogue, this is a step in the right direction. Just a couple of words of advice though. Some more thought could’ve gone into the recently released Greatest Hits’ albums. Their covers were garish and cheapened the product. Hopefully, that’s just a blip. After all, Sony Music now have control of the rights to the entire Philadelphia International Records’ back-catalogue. Sony Music are custodians of the back-catalogue of Philadelphia International Records. This is music with a special place in many people’s hearts. As a result, the back-catalogue of Philadelphia International Records deserves to be treated with care and respect. Philadelphia International Records was one of the most innovative, influential and successful soul labels of the seventies. Founded by Gamble and Huff in 1971, it became a showcase for a city’s talent. This includes musicians like Vince Montana Jr, Baker, Harris, Young, Larry Washington, Bobby “Electronic” Eli and Don Renaldo. Then there’s backing vocalists The Sweethearts of Sigma, plus songwriters, arrangers and producers like McFadden and Whitehead, Victor Carstarphen, Jack Faith, Bobby Martin, Cynthia Biggs and Dexter Wansel. All of these musicians, songwriters, arrangers and producers were brought together by Gamble and Huff. Together, they made Philly Soul the soundtrack the much of seventies. Much of that music is timeless, including many of the albums on the recently released box set Philadelphia International-The Collection 20 Original Albums. Over forty years later, the Philly Soul is loved by many people worldwide. Forever they’ll have a special place in their heart for the music on Philadelphia International-The Collection 20 Original Albums. ← CATFISH HODGE-DIFFERENT STROKES-THE COMPLETE EASTBOUND AND WESTBOUND RECORDINGS. Derek your understanding and description of “The Philly Sound” is terrific. What is your opinion of the 3 CD release entitled “The Philly Sound” released in 1997 by Sony Music Entertainment under the Rhythm and Soul Series brand? Wonderful historical overview of some of the most popular and culturally significant music to come out of Philadelphia PA back in the 70’s.